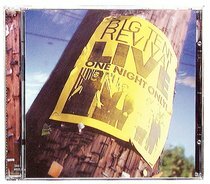 One of the best Christian live acts finally delivers what the fans wanted - a live album! Featuring their best songs including 'Choose Life', 'WWJD' and 'Star in the Book of Life', this album is a dream for long time fans, and a great introduction for others. About "Big Tent Revival Live"